Police in Tewksbury report a 3-year-old girl suffered personal injury following a Massachusetts dog bite by a reportedly aggressive American bulldog. Officers were called to a private home shortly before 5 p.m. on a Saturday, where the girl, who along with a few friends, had been playing in a neighbor’s yard when the dog attacked and bit her on the ear. She was rushed to the general hospital in Lowell for treatment of non-life-threatening injuries. The dog, which reportedly belongs to the girl’s neighbor, has been quarantined. It has no history of violent attacks on humans. Police have decided not to file charges against the owner. However, that does not mean the owner can’t be found liable in civil court for the girl’s injuries. Federal data shows that children account for a disproportionate number of dog bite victims, accounting for 41 percent of all deaths. And while only 9 percent of all dog attacks resulted in criminal charges in 2014, they accounted for one-third of all homeowner liability insurance payouts that same year. 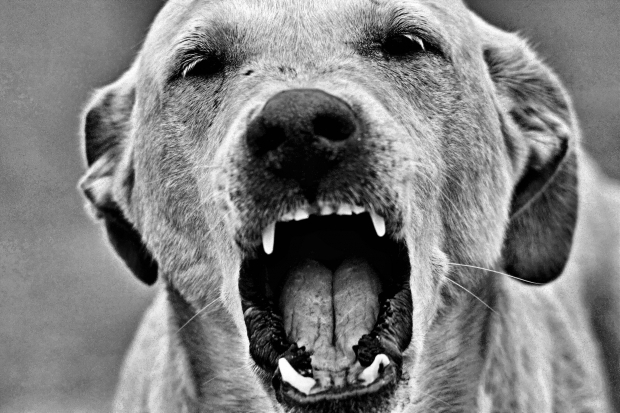 There were approximately 16,600 dog bite claims made in 2014. According to the Insurance Information Institute, dog bite claims resulted in $530 million in insurance payouts. While the average number of dog bites has declined in recent years, the average cost per claim has gone up. It was about $32,000 in 2014 – a 67 percent increase form what it was in 2003. Much of this has to do with an increase in medical costs. M.G.L. Ch. 140 Section 155 is Massachusetts’ “Dog Bite Law.” The statute says that dog bite owners shall be liable for bodily injury or property damage caused by a dog attack. The only exception to this is if the victim was trespassing or committing some other tort or was teasing or harassing the dog. This provision does not apply to minors under the age of 7 (so it would be applicable in the Tewksbury case). Pit bulls and rottweilers are the two most lethal dog breeds in the U.S., accounting for 9 out of every 10 deaths in 2105 – and for 76 percent of all deadly dog bites from 2005 to 2015. In 2004, the Boston City Council passed the Ordinance Regarding Responsible Pit Bull Ownership Act, which imposed a variety of restrictions against pit bulls. The ordinance required pit bulls be muzzled if they were on public property. Owners had to put a “beware of dog” sign on the property and there could only be two pit bulls per residential dwelling. Finally, all pit bulls had to be spayed or neutered. However, the act was overturned in 2012 by the Massachusetts Animal Control Act, which struck down all breed-specific legislation. Since that time, Boston.com reports not only an increasing number of bites but an increasing number of pit bull bites. In 2012, there were 251 total dog bites in Boston with 21 percent of those being from pit bulls. By 2013, there were 287 total bites with 30 percent being from pit bulls. These figures validate then-city Council Member Robert Consalvo’s assertion that the city ordinance was an important tool that helped to improve public safety. Regardless of the breed involved in a Boston dog bite, victims do have recourse for serious injuries through the civil justice system.